When the weather finally warms up and the possibility of frozen pipes is no longer a problem, we reopen the kitchen. At this point we have been brainstorming new menu ideas all winter and can hardly wait to get in there and try them all out. Recipe testing is a curse and a blessing; it gives us an opportunity to bring our ideas to life and tweak them to perfection, but it also means you're eating a LOT of one thing until you are totally sick of it. For instance, in May there was a solid week where it seemed like all we ate was fried food..........and don't even get me started on the hand pies and wedding cakes we made over and over until they were just right. Hors d'oeuvres are probably our favorite part of any menu and they tend to be the items where we can express the most creativity. 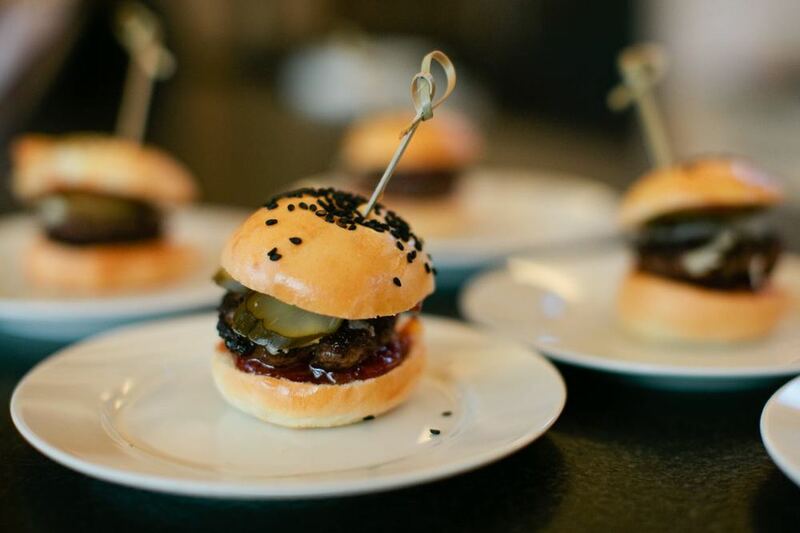 Bite sized, texturally interesting, and packed with flavor are the hallmarks of a standout hors d'oeuvre........we think these new additions to our 2015 menu are winners and are looking forward to making more of them all summer.